American Muscle cars were a unique era. Many people will never experience the incredible sensation of raw power, brute force, and true muscle of a Plymouth ‘Cuda. Explore our site and live it through stories and videos like you were there. ‘Cuda Brothers passion for over 30 years has been anything with a powerful engine and wheels. Our mission is to remind and educate the muscle car enthusiasts around the world that American muscle cars are like no other cars produced. Through our life experiences and continued involvement with the Ultimate Muscle Car, the Plymouth Barracuda, we will motivate and entertain our youth and young at heart through auto restorations, video, and appearances at auto related events. View our Restoration Page to see what we are up to. 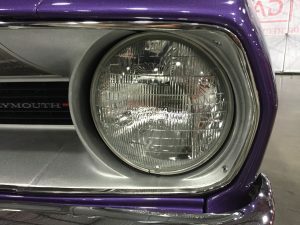 Give us a call to discuss your project, hopes, and dreams to determine if we can help you achieve the ultimate feeling of driving a classic muscle car. Tell us your story. Send us your pictures. We have been known to professionally produce an occasional featured car video. Check out some of our work at Locklin Media. Check out all three generations of the Plymouth Barracuda which were produced in limited production from 1964 through 1974. A movie called “History of the Barracuda – Preserving the Barracuda Legend” is in the planning stages. Check it all out on our Barracuda History page.